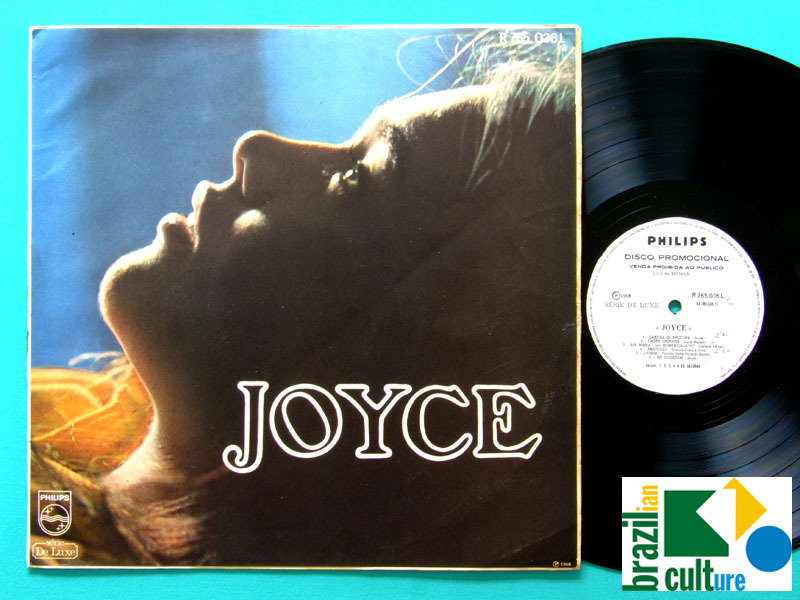 JOYCE - "JOYCE" 1st - Brazilian MPB Bossa Jazz Folk mellow record. 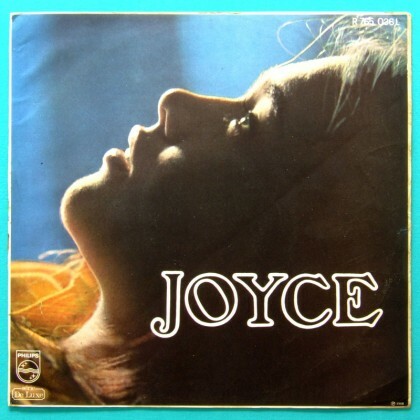 Beautiful copy, First pressing from 1968 on Philips white promotional label. Songs by Joyce, Macalé, Marcos Valle, Paulinho da Viola, Toninho Horta, Francis Hime, Vinicius de Moraes, Caetano Veloso, among others. We're offering the ULTRA RARE early first pressing. This pressing is so rare and desired because it has 6 photos on back cover. 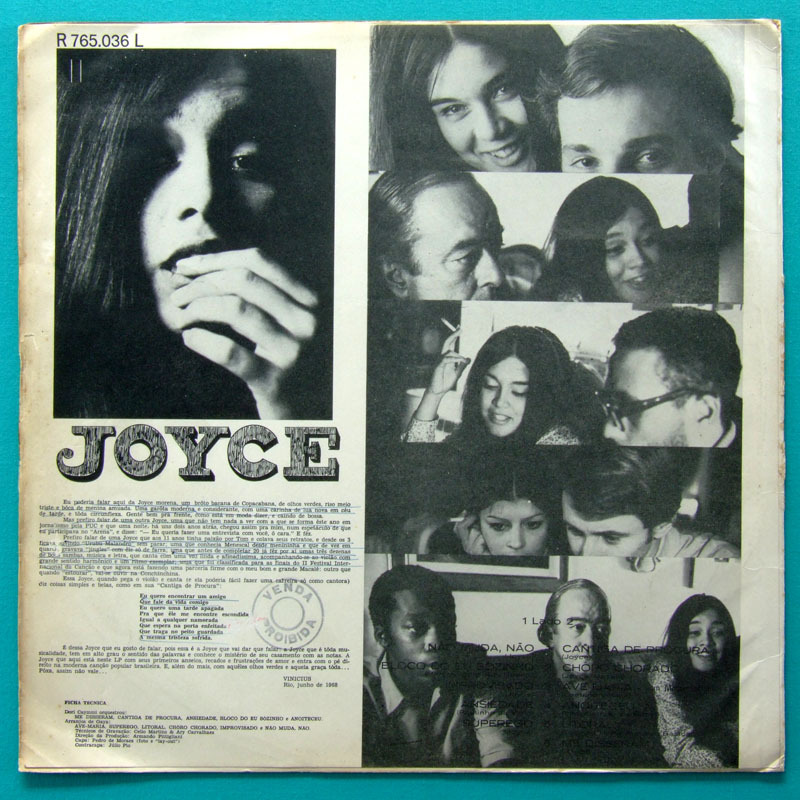 In the second pressing, soon after, one of the pictures (Joyce with Marcos Valle) was suppressed to give better reading to the songs's names. In this rare first edition, the titles of the songs are printed on a picture, what turns it more difficult to the reading.